Tibetan Life, Issue #06 - The Dalai Lama In Toronto! On October 22nd, His Holiness the 14th Dalai Lama of Tibet honored Toronto with a 5th visit. My Tibetan friends and I were very excited indeed. We dressed up in our most beautiful traditional clothing to go to the public talk. Aren't they gorgeous. 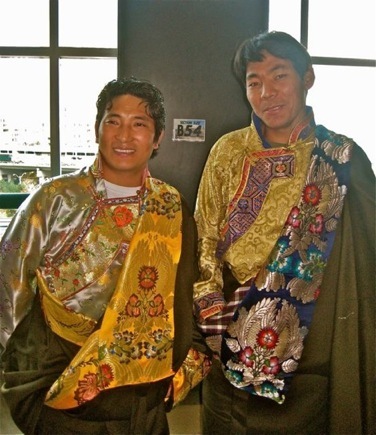 I love all the colors used in Tibetan clothing, decorations and temples, so bright and cheerful. On Friday, October 29, we celebrate Lhabab Duchen, commemorating the descent of the Buddha from Tushita god realm back to earth, where his mother had taken rebirth. There he taught the Dharma, giving her the precious opportunity for liberation from the cycle of death and rebirth that we call samsara. In the Vajrayana Buddhist tradition, this occasion is one of four “Great Festival” days celebrated during the year to commemorate significant events in the life of Shakyamuni Buddha. On Lhabab Duchen, the effects of positive or negative actions are multiplied ten million times. It is part of Tibetan Buddhist tradition to engage in virtuous activities and prayer on this day. How do you translate the word 'Eternal'? What is Wei Chi Tibetan Reiki? Can you tell me more about what Buddhism is about? 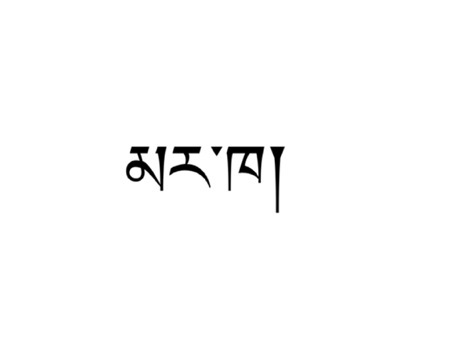 Where can I get a french word translated into Tibetan for a tattoo? From the Buddhist point of view, the human consciousness, or mind, is the source of all human activity. Therefore, human beings can do all sorts of things, internal and external; human power is such that we can do anything. We can put our energy into any direction we choose. That’s the power that humans have. The human mind is the source of all people’s happiness and unhappiness, and the Buddha’s teaching emphasizes the gaining of discriminating wisdom so that you can see the reality of your mental attitude and thereby direct your life and energy in the right direction towards tranquility and peace. From the Buddhist point of view, basic human nature is beautiful, profound and clear. This is how you exist; it’s simply a matter of recognizing your own profound qualities and seeing that you have the potential for limitless development. Meditation on the four immeasurables—limitless love, limitless compassion, limitless joy, and limitless equilibrium—indicate this. The reason that these four attitudes are called limitless is that fundamentally, we do have love, compassion, joy and equilibrium, but they are limited. We have love but it is limited love; we have compassion, but it is limited compassion; we have joyful appreciation of each other’s lives, but that joy is limited; we have a certain degree of equilibrium, but it too is limited. What prevents us from realizing the four immeasurables is our ego; the ego mind. The view the ego mind perceives is wrong, partial. Therefore, our loving kindness is very narrow. First, we have to recognize this in order to expand it. Tibetan tattoo of the month is from Lozang who lives in New Zealand. Lozang and I used to live in the same Sangha community in Chenrezig Institute near Brisbane Australia when we were ordained Tibetan monks! (I was called a ‘nun’ of course). Lozang was kind enough to share some of his gorgeous tats with us. i would like to enter a name for the free translation competition please. it is my boyfriends name Marc. This would be my one and only tattoo, probably on my inside wrist, so that when he goes away on trips I still feel he's with me. 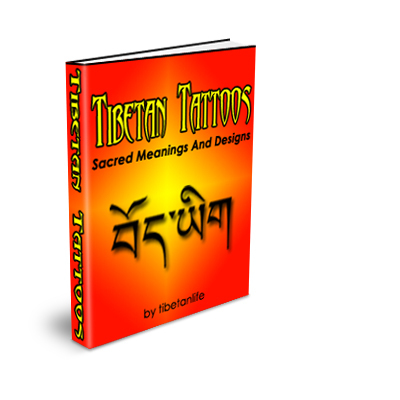 thank you and love, Lindsay"
Due to the high demand for Tibetan tattoo translations I have been receiving lately I have decided to create a fantastic and informative e-book. It will be chock full of tattoo translations, designs and ideas for your next gorgeous tattoo. Subscribers to Tibetan Life e-zine will get a special discount and will be the first to know when it's available!